Endura Flap Size Choose an optionSingle Flap 6 in.Double Flap 6 in.Single Flap 8 in.Double Flap 8 in.Single Flap 10 in.Double Flap 10 in.Single Flap 12 in.Double Flap 12 in. If you’ve never owned a pet door before, you’re going to be very satisfied with your Endura Flap pet door. It does what you think it should. But if you have ever owned a pet door before, hold on to your socks. 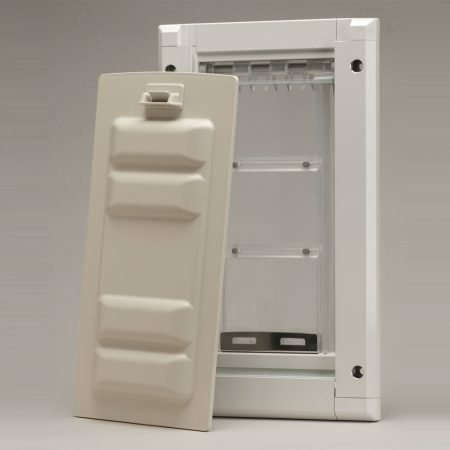 You’re not going to believe how much better the Endura Flap pet door is than what you’ve had in the past. 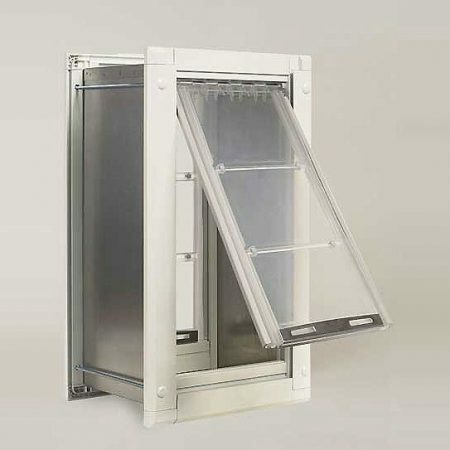 Please take a look at the Endura Flap Pet Door Information that we’ve provided. We think you’ll begin to see what we’re so proud of. 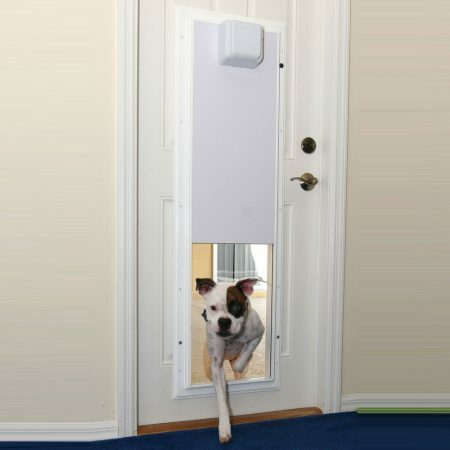 The best, most highly engineered pet door flap ever made. Tired of replacing worn out, leaking vinyl flaps? You owe it to yourself to investigate the Endura Flap™. It seals, it insulates and it will last for many years! It is flexible so it won’t crack and peel like vinyl in low temperatures. It won’t yellow in the sun. It even has a 15 year manufacturers warranty against cracking, yellowing and peeling. 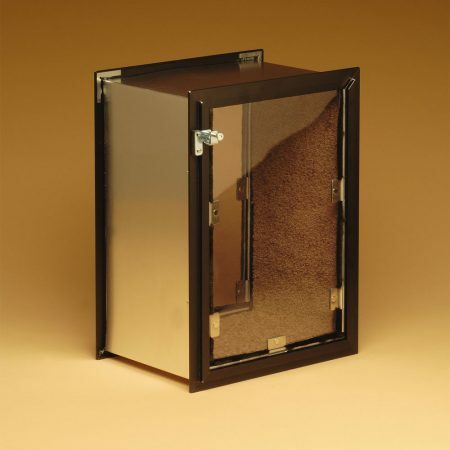 A taller pet door makes it easier to fit your pet. 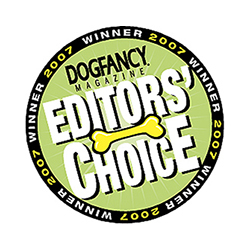 It also improves security for medium to large sized pets and is easier to share with a smaller pet. To increase the already significant wind resistance; you can add additional magnets. 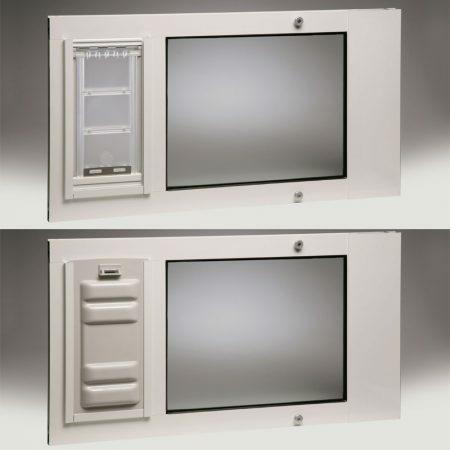 The Security Cover keeps pets in or out. The easy to use clip lock is better than the old spring-loaded pin locks. 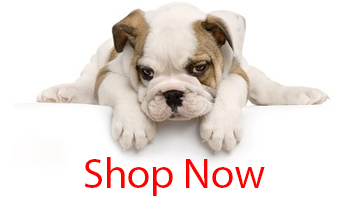 Four sizes to choose from; Small #6 for cats and small dogs to the Extra Large #12 for very big dogs. 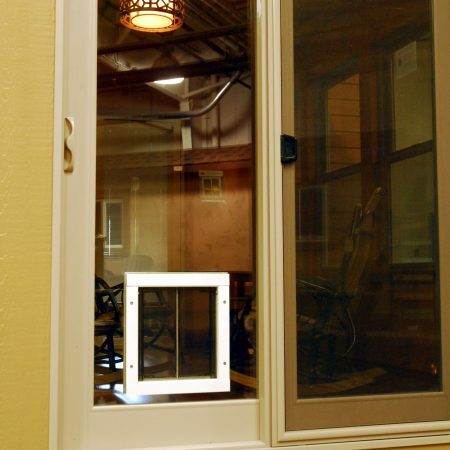 The Single Flap design is for a man door that is 1/2″ – 1 3/4″ thick. 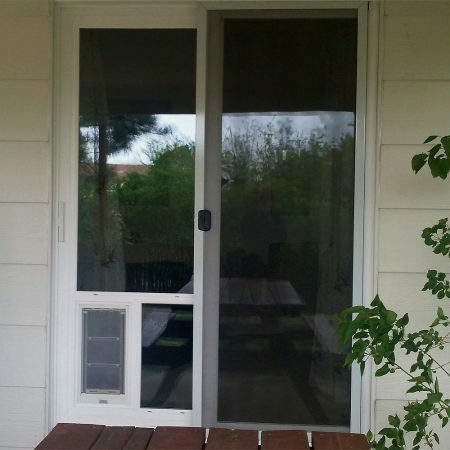 The Double Flap design is for a man door that is 1 3/4″ – 2 1/4″ thick. Flap Size & Stock No.